A commerce Graduate Person having worked in Supply Chain in a upcoming and progressive Electronics Industry, has made his dream true - a dream of having his own successful business and doing it differently. Mr Suhas Medhi is a well known name in electronic components distribution business in India. Over a decade and a half in this business, he also is active in some noble social activities for helping other businesses to grow through various initiatives. Electro Enterprises has ambitious growth plans and also Mr. Medhi is keen to share his experience and network for taking forward the people in his network. Initially, it was a desire to have my own business, rather than making career as employee. I am a commerce graduate from Pune University. After my graduation, I was struggling for job in Industry. Though I became graduate from commerce stream, I was interested in technical areas also. It was my passion to understand the technical part of any manufacturing process whenever possible. Fortunately I got a job in purchase department in one Pune based electronic protection relay manufacturing unit in early eighties. I was not aware about ABC of any electronic component. In this job I got the chance to understand what is electronic components and their specifications and what is their role in any electronic circuit. At the end of my service tenure, I was firm to start my own business in components distribution in and around Pune and nearby electronic industries. I decided to have business in the area of passive electronic components only. The reason behind this decision was only passive components were being manufactured in India that time. Off course, few active components’ manufacturers was also present that time but it was a limited range of components they used to produce. Having reached my goal as entrepreneur, it was always my objective to do business with ethics and quality, win good friends in professional life and also try to do something for the society. I am happy that I have been able to practice that philosophy successfully. It was decided from the day one to have business in passive range of components and according to this, I believe, we are certainly known in industry in and around Pune as a genuine source of passive components. I have a network of good contacts from leading businesses, a good network of personal friends, and also I am involved into doing something for business community that is away from my usual business. While working as a branch manager for one of the leading trading house from Mumbai, I got a chance to develop relations with my customers and suppliers. Being from middle class background, I was not having any financial support from my family. My asset was, my excellent relations with suppliers and customers, with full transparency in business. This really helped me a lot in the beginning to establish me in the market. Genuine and serious approach towards the customers and timely deliveries as per schedules generated more volume of business other than normal business. Customers are always interested to add more items in our basket and we believe this is a rewards to us. We are keen in the area of passive components only mainly. Electrolytic Capacitors – Single ended general purpose, High temperature with 105* degree, Snap in type, Screw Terminal type and latest surface mount device type. Plastic Film Capacitors Inductive and non-inductive– Metalized Polyester, Metallized Polypropylene, Polyester Capacitors, X2 Grade AC Capacitors etc. Resistors CFR/MFR/MOR – We can offer CFR in 1/6Watts, 1/8Watts, 1/4Watts, 1/2Watts, 1 Watts and 2 Watts with 5% tolerance. In MFR Range we can offer above range with 1% and 5% tolerance type. Even close tolerance in MFR can be made as per customer requirement. 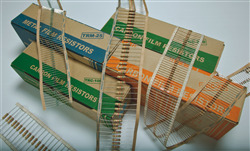 Metal Oxide Resistors in thin and thick film is also available up to 3 watts. Wire Wound Resistors – In inductive and non-inductive wire wound resistors although there is a standard range but major business will come from customer with their own specifications always. The range of wire wound resistors is available from 0.25 watts to 2000 watts and 0.1E to 100 Kilo Ohms depends upon the requirements. 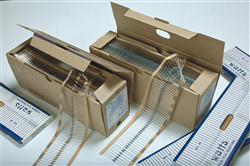 Wire wound resistors the type and dimensions can vary though the value or resistors and voltage may be the same. Yes. Though we are strong in standard range of products, we have facility to produce components as per requirement of customer with the help of our strong R&D lab and expertise of three decades. We are strong in the area of Automobile / Lighting sector. Our major strength is our timely deliveries to customers as per their schedules. Would you like to describe briefly one or two success stories of your business related to market development activities? I remember in 1990, a leading automotive manufacturing company in my city, was interested to introduce the 105 degree electrolytic capacitors in their electronic gadgets for vehicle. This 105 degree caps was available in international market but the price was very high as compare with standard 85 degree caps available in Indian market. I was having very good relations with one components manufacturing MNC, factory where they used to manufacture a wide range of passive components. I approached to concern person and discussed to start productions of 105 degree caps. Surprisingly, within three to four months we submitted the samples processed in factory. And there was good opening for new business of the capacitors with this customer. Slowly 105 degree caps was introduced by all manufacturers. Story does not end here and I am proud of that till the date I am doing this business with this customer as single source and there was not a single incidence recorded, that my customer’s production is disturbed because of shortages or delivery issues. My principals are very keen to develop business in the new area as a challenge to meet with international standards at Indian price. During last two decades we have developed many products as equivalent to overseas products to save foreign exchange of country. Do you have any of the below stakeholders associated with you for a longer period? I am happy to say that my all principals, customers and employees are with me from last 20 years. I have chosen my principals for their excellent product quality and reliability. Hence, all my suppliers are Green Channel Suppliers. Yes. We are Green Channel Supplier for all customers. All material goes on production line without in house inspection since last ten years. Off course we have given declaration regarding any quality issue occurs we will be responsible. No single incidence is recorded till the date on quality ground. Thanks to my suppliers. We have added new line of electromagnetic relays to our product range from last one year. 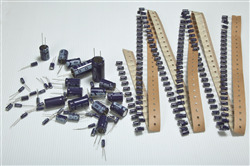 Relay is high priced item as compare to our current products such as capacitors and resistors. Yes, there is huge requirement of relays in the market which is growing day by day. At present two or three Indian manufacturers and couple of MNC are prominently established and enjoying this market. But I am sure that we will also make our room in this segment with our price, variety, quality and off the shelve deliveries to customer. I am sure that we will not only maintain our growth ratio for coming 5 years but will have good increase with the help of this product. We will add few new customers in the area of automation and automobiles sectors. We have planned to open exclusive show room for relays in Pune City very soon. This will help to create our brand awareness in the region. How do you foresee growth of your industry in next 5 years? We are sure to have growth in the sector of LED lighting and automobile sector in a very big way in the country. Even solar energy generation will also be affordable in coming years and will have scope to grow big way. LED lighting will change the scene of lighting concept of the country. The new government is aggressive about the use of LED bulbs in place of conventional bulbs and CFL just because it will reduce demand of electricity from all sectors. Surprisingly the demand is reducing substantially with the use of LED lighting all over. So this business is huge enough as a need of the hour. LED lighting will create huge demand in active and passive component big way. Many small scale industries are coming in this LED lighting business due to its expected high demand in near future. Electronic industry all over the world is an everyday happening field. Today’s technology can be obsolete by tomorrow. We have seen the industry transform from single layer to multi-layer PCB. From leaded components to SMD components. Speed of micro-controllers and a lot. 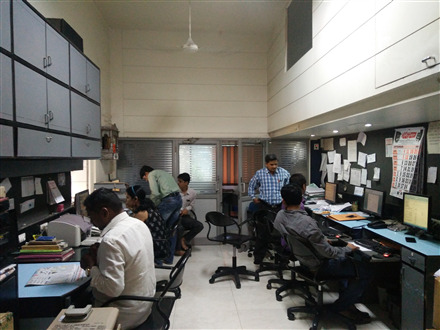 Our principals are also keenly watching the happenings in technologies for updates to cope up with the changes which help to remain in the business. They also keep their focus to introduce the latest technologies in their products because it is a game of survival for them as well. We are not much worried about such competition, and have developed expertise to handle it. Also majority of our customers are supportive and quality conscious and know that such ‘fly-by-night’ players are not there to stay long. In today’s world, I am sure that quality of the product will be a major criteria and not price; because in industry everyone know the result of using less quality product with your own brand or reputation and risk that you will be out permanently from business. With technology developments, whole world is becoming a single market place. Hence, we will have competition from international market. We need to accept this and learn to develop strategies to face it. In this supply chain we as a traders are going to play major role due to our deliveries commitments and offering credit to our customers. In last few years we have seen lot of big giants from overseas are also focusing on Indian market. They have already entered in a big way just because they are financially strong and working globally as compare to any Indian trading houses. Even their head offices are out of India and they have Sales/Marketing offices in almost all major cities in our country. But till they are not ready to offer unlimited credit period to their customers. Being small in size we can work on low margins which may not possible for such big marketing houses. Mid-size and small customers will always prefer local suppliers. So not to worry about business for coming decade, I think. In today’s world there is hardly any field, where there is no competition. Now almost in all sectors there is cut throat competition you can observe. We have to prove ourselves in this competition with the help of our services, price and quality. I think while doing business in such competition, one should always be alert and aggressive. You have to keep visiting your current customers to know there future expansion plans which will give idea about your future chances of possible growth. As mentioned above, we are one family and once in a year we meet with family for lunch. This helps to understand there achievements and problems. Once in a year, we sponsor for a family trip to every employee to get short break from day today routine and get fresh once again. In specific and deserving cases, we take care of the education fees of our employee’s kids. We are associated with various social forums, (a) to help needy class from society (b) to support with references for business issues, (c) to support their other specific need, if any. (d) Keep coming together at certain interval for networking. (e) Arranging seminars on marketing , Sales , Production planning , Newly introduced Taxes like GST, Digital Marketing, Audit and accounting tips, stress managements, personality developments etc. This helps to members to look towards current business with new perceptions to improve their system and business. As far as this business of electronics component trading is concerned, its USP is totally depending upon your stock carrying capacities as well credit holding capacities. If anyone who wants to start his own business in any area, it is a must that one should have proper knowledge of Market in respect of the trends in technology, volume of current market, major players in the market, their strength and weaknesses. After MAKE IN INDIA campaign, we hope to have many opportunities especially in defense sector.